Rising Thunder is an experiment I'm not quite sure about yet. On one hand, it seems to be custom made for me: an aging fighting game fan with a well-documented obsession with robots and a pair of cinder-block mittens for hands. A game that, theoretically, would let me compete without worrying about excruciatingly tight one-frame link combos and the kind of hand-pretzel torture required to keep up with the cutthroat fighting game crowd. On the other hand, it's also very weird. It feels strange to toss out fireballs and command grabs without making any kind of motion. It's strange to play a fighting game that doesn't even have an option for local play, that is 100% entirely built around fighting people you'll never see. It's certainly a different way to approach the genre. But, none of that matters right now. Because Rising Thunder is a fighting game, and as such the first order of business will always be to establish a tier list as soon as possible so you can know exactly which OP character to blame your loss on. I've spent about an hour with the game's alpha now, so I feel I'm totally qualified to issue my own completely inaccurate opinions based on only the most suspect criteria. So here it is, my personal, meaningless tier list based only on my own observations and biases from the bottom to the top. Crow is like a mini-Evangelion mech with a chakram, which I'd normally consider a strong look. 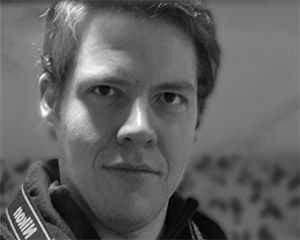 But, when compared to the rest of the much goofier and lighthearted Rising Thunder cast, he just looks like he's trying too hard to be edgy -- like Hot Topic opened a mech garage. I can't wait for the DLC to give him a wallet chain and a checker pattern. Crow also looks like he'll be annoying as hell to fight against. 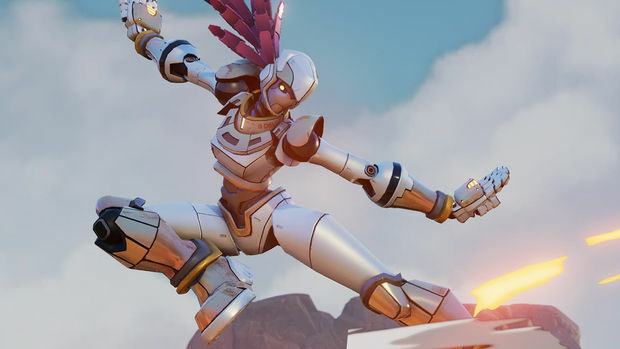 Rising Thunder may be the first fighting game to actually do invisibility right (because it's online only, the Crow player will be able to see an outline of their character on their screen while the opponent will see nothing) and that will be sure to attract the trollish kind of player who likes to mess with people. I can already see the YouTube clip reels of time-out victories where a Crow player gets a life lead and dances around invisible for the rest of the match on the horizon. His spinning disk can be delayed to float in the air for a long time, which is the kind of thing that is always a pain to deal with. 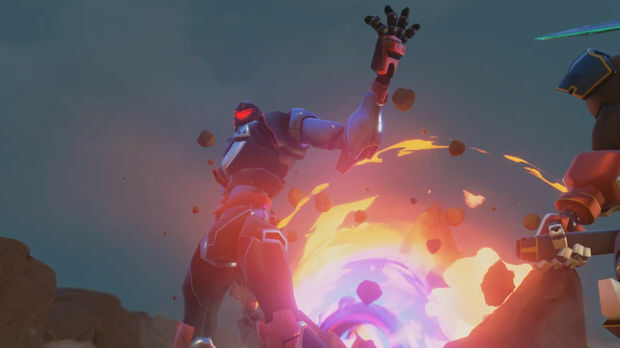 Any character that can force an opponent to defend while still being able to move and attack themselves seem to do well, so I wouldn't be surprised if Crow actually turned out to be one of the better characters in Rising Thunder. For the purposes of this list however, his high school-ish gothy design and my prediction that I'm going to hate fighting him will land Crow squarely at the bottom of this list. What, you thought this was going to be useful? So, we can all agree that Edge is basically Zero with the serial numbers filed off, right? I mean, red armor, green energy sword, slim build. Heck, he's even got a freaking pony tail! It would be scandalous if Capcom hadn't already abandoned the maverick hunter. Someone might as well rescue him from the scrapyard and put him to work. The in-game description labels Edge as a rush-down character with a high skill difficulty. Given how Zero played in Marvel vs. Capcom 3, I'm going to go out on a limb and guess that the resemblance isn't purely coincidental. Edge looks like the kind of character who is designed to reward dedication and practice by becoming a sheer nightmare in the right hands. The kind of character I can never quite seem to grok but can look forward to being bodied by, over and over. Joy. Oh well. Here's hoping he doesn't have any lightning loop nonsense at least. I want to like Dauntless more than I do. She has all the right pieces, a goofy expressive face, extra large hands for Rock'Em-Sock'Em style fisticuffs, and a pleasingly robot-ish squared off design. But something just doesn't click. There is nothing wrong with her, but she's just a little too bland to really crack the top half of the list. Sorry, Dauntless, it's the curse of being the mascot character. Too inoffensive to hate, too milquetoast to love. Speaking of Rock'Em-Sock'Em, that's a cross marketing opportunity if I've ever seen one. Someone should get on that Kickstarter fast. 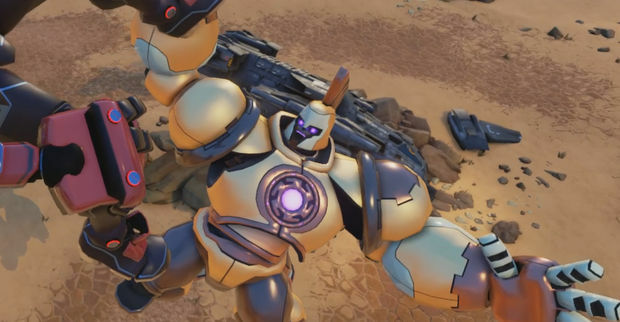 Talos is the big dumb grappler character of Rising Thunder and he knows it. He's got a silly accent, a boisterous attitude, a dumb haircut, and incredibly overdone command grab specials; everything you need to make Zangief, the patron saint of grapplers, proud. Talos goes one step further by joining the ranks of some of my other favorite big dumb characters like Iron Tager and Lex Luthor by having an electromagnetic suction mechanic to pull opponents in close for that real soviet damage. Come here and give daddy a hug. Also, his forward dash makes him pivot on his arms like a gorilla. Perfection. I can't tell if Vlad is going to be the Dan of Rising Thunder, or the Akuma. All I know is that he's going to be a fan favorite and I'm no exception. He's so damn cute and silly that I almost don't want to love him, but I do, I do. How could I not? 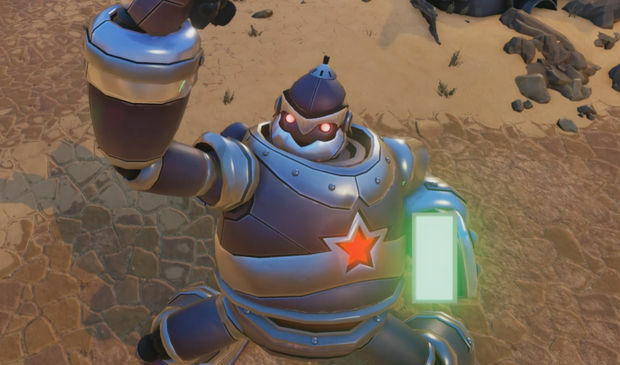 He's like if the Iron Giant had a goofy Russian step-brother. 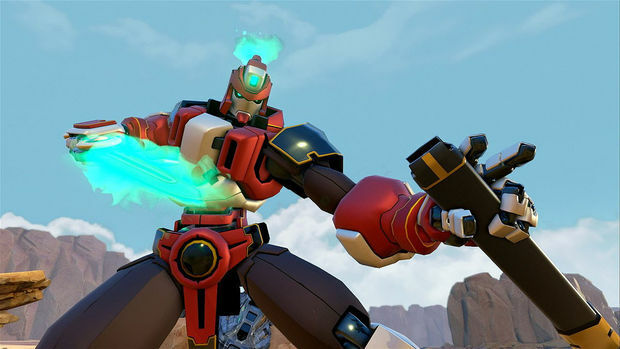 While all the other fighters of Rising Thunder are cutting-edge robots ripped from futuristic anime series and discarded Jagger design documents, Vlad is like a tin robot stumbling out of the 1950s, with all the adorable goofiness and Cold War tension that implies. He's got a jetpack, a tiny flag antenna, and he windmills his arms and torso about like a madman. He even fires a tiny elbow rocket! Vlad has everything I'm looking for in a robot. But I suspect Vlad harbors a darker secret underneath all that silly charm. Inside that metal chest beats the heart of a real terror, the kind of character everyone writes off as a joke until he shows up in a tournament one day and cleans house. It's that jetpack, and all the fly-canceling shenanigans it could allow. I bet we'll see someone break the game with it sooner or later, and then no one will be laughing anymore. Chel makes the top of my list by virtue of sheer adorability. She's a little ball of energy with a whole lot of personality for a robot. A big plume of pink hair, a charming accent, and cute little rocket boosters on her hands for when she does a forward dash. Robot girls just want to have fun! In a weird coincidence, Chel is the one place where my dumb personal tier list happens to overlap with reality. As it stands in the alpha, Chel is one of, if not the, strongest character. Her keep-away fireballs and one-button uppercut lead to a simple, but brutally effective game plan that is easy to implement and difficult to work around. That Shoto archetype set the standard for a reason. Given how upset people seem to be at Chel right now, I'd expect to see some balance changes that will make her a little less of a cruise-control character. So I guess now is the time to scumbag it up and establish that character loyalty cred while sneakily enjoying a top-tier character. Rising Thunder is still in the earliest of early days, so any talk of actual tier lists is super dumb and I'm sure everything will change twenty times before the game is launched for real. There are still characters to be revealed, mechanics to iron out, and decisions to be made. 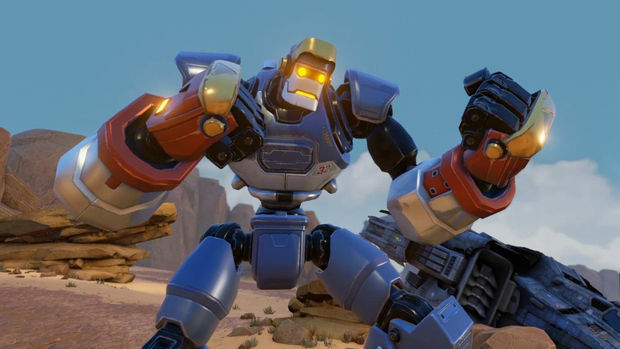 As it stands though, Rising Thunder is remarkably fun to play, even if it represents a dramatic shift from traditional fighting game models. Has anyone else been playing the alpha or watching some streams of it? Picked out a favorite already or have a particularly despised foe? I'd be interested to hear what other people think of the game so far!